The Israeli and Palestinian leaders prepared to hold separate meetings with the Egyptian president in Cairo on Sunday, to be joined by the US Middle East peace envoy as he pressed his quest to get the two men to relaunch direct talks. No direct encounter between Israeli Prime Minister Benjamin Netanyahu and Palestinian president Mahmud Abbas was foreseen, Egyptian President Hosni Mubarak's office stressed, despite months of efforts by US envoy George Mitchell to end an 18-month hiatus in face-to-face negotiations. Mitchell, who arrived in Cairo after meeting Netanyahu in Jerusalem on Sunday morning, was due to meet Foreign Minister Ahmed Abul Gheit. Abbas met both Arab League Secretary General Amr Mussa and Egyptian intelligence chief Omar Suleiman on Saturday evening, the official MENA news agency reported. After a meeting between the US envoy and Abbas in the West Bank town of Ramallah on Saturday, the Palestinian leadership renewed its conditions for a resumption of direct negotiations, broken off after Israel launched a devastating offensive against the Gaza Strip in December 2008. Senior Palestinian official Yasser Abed Rabbo called for greater clarity from Washington about its position on new negotiations, insisting that the Palestinians wanted to address the core issues of the Middle East conflict. "Until now there is no clarity in the (US) position on a number of issues, especially those related to moving into final status talks," Abed Rabbo told reporters. "The three-hour meeting between Abbas and Mitchell was important but there are several issues, most important among them the settlements and the situation in Jerusalem, that need more clarity," Abed Rabbo said. 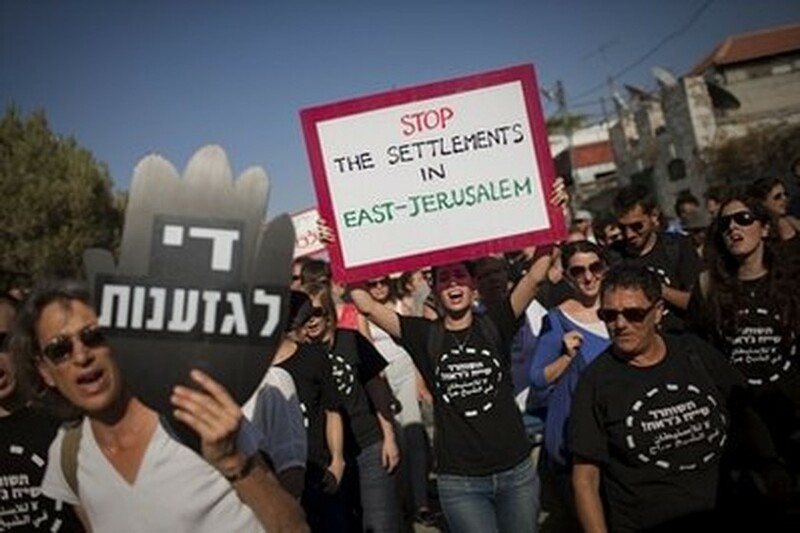 The Palestinians have long demanded a complete freeze on Israeli settlement expansion ahead of direct talks and have accused Israel of undermining the process by approving new settler homes in annexed Arab east Jerusalem, which they want as the capital of their promised state. As on previous visits, Mitchell himself declined to discuss the details of his talks, saying only that it was a "very productive" meeting and that US President Barack Obama remained committed to a two-state peace deal. Earlier this month, during a visit to Washington by Netanyahu, Obama said he hoped to see direct talks begin before a partial Israeli moratorium on the expansion of Jewish settlements in the occupied West Bank ends in September. The Palestinians reluctantly agreed to join US-brokered indirect peace talks in May and Mitchell has since shuttled repeatedly between Washington, Jerusalem and Ramallah. In recent weeks, Abbas had appeared to back away from his previous demand for a full settlement freeze as a condition for opening direct talks, instead insisting on "progress" on the issue of borders and security. In an interview published on Saturday, he said he would meet Netanyahu if Israel agreed in principle to a Palestinian state based on the borders before Israel's occupation of the West Bank during the 1967 Middle East war, with equal land swaps and the presence of an international security force. "Israel must accept that the Palestinian territory in question be that of the 1967 borders and with the presence of a third party," he told Jordan's Al-Ghad newspaper, referring to Gaza and the West Bank, including east Jerusalem. "This will push us to embark on direct negotiations," Abbas said. The Palestinians say Netanyahu has yet to respond to the proposal, and the prime minister has previously said Israeli forces must remain in the strategic Jordan Valley after any peace deal to prevent weapons smuggling. In an indication of the domestic pressure Abbas faces, his own Fatah party on Thursday told him not to join direct talks with Netanyahu's right-wing government without showing progress in the US-brokered indirect talks.